The past couple of weeks have been very difficult. The kind where having then engine blow up requiring a new one wasn’t the worse thing to happen. Fortunately things are looking up again and things getting back on track. I did manage to find time to make an Irish meal for St Patrick’s Day for the two of us. I found the inspiration for this dish on pinterest and it was for a rack of lamb with a mustard shallot sauce. I couldn’t find a rack of lamb but I was able to find 4 lamb chops which were the perfect size for us. And as it was a week night I had the added bonus of it being really easy to put together. Season the lamb chops with sea salt and pepper. 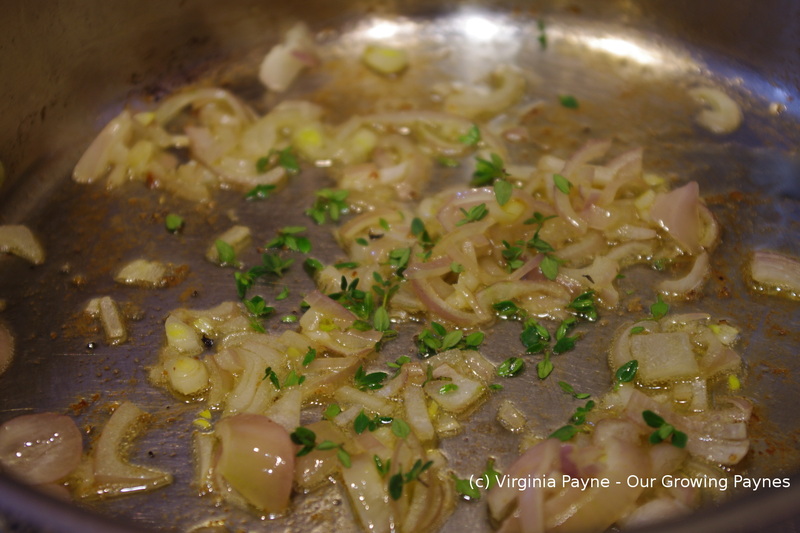 In a skillet heat up some olive oil then place the chops, fat side down, into the skillet to brown. Brown all sides for a couple of minutes each. 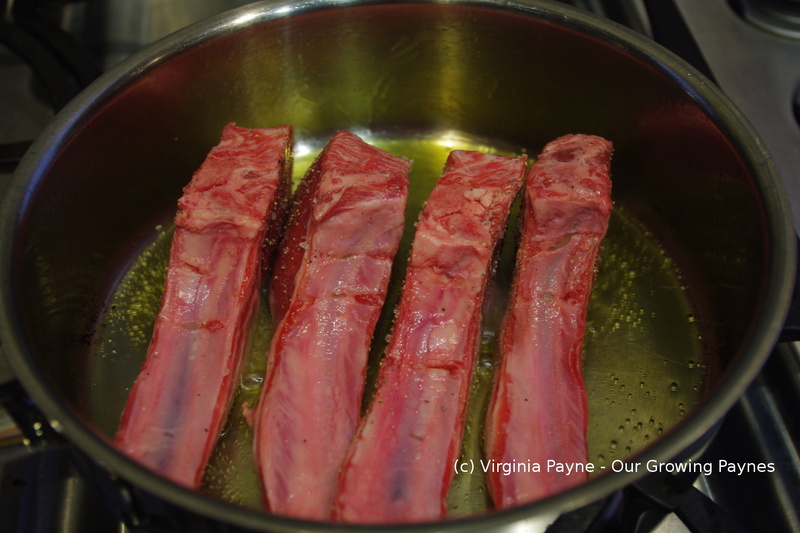 Roast in the oven until it is cooked to the doneness you desire. We prefer medium rare heading towards the rare side. 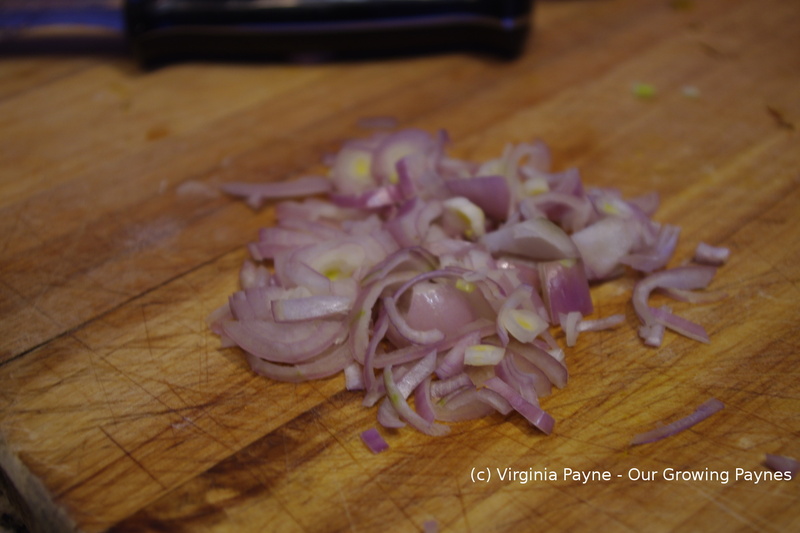 In the same skillet, reduce the fat about half and add about half a cup to 3/4 cup of chopped shallots and cook until softened. Add a few teaspoons of fresh thyme. 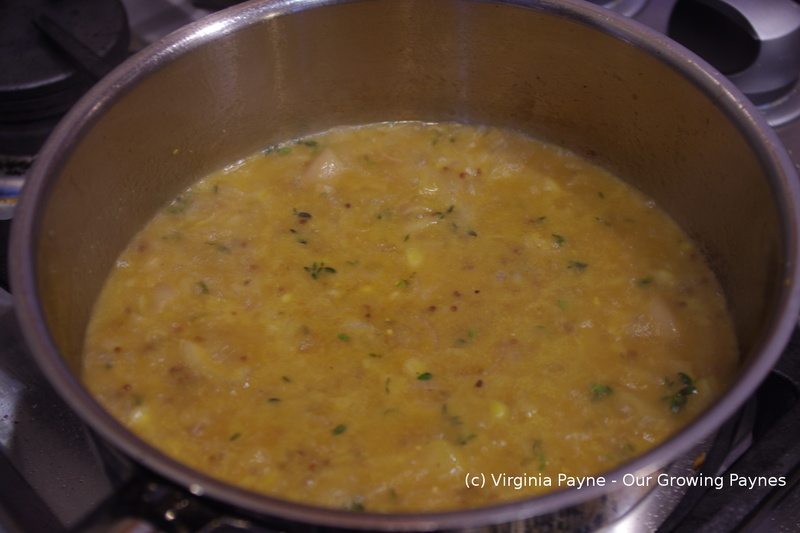 Add 1/2 cup of veg bouillon, a 1/3 cup of dry white wine, and about 1 1/2 tablespoons of stone ground mustard. I used the garlic flavoured one that we have. Simmer until it’s reduced to about 1/3 of liquid you started with. After you let the lamb rest for a bit serve with the sauce. I also served this with roasted potatoes and some yellow beets that were simmered in homemade chicken stock. I loved this sauce. It would be fabulous on all sorts of proteins. I’ll be trying this on grilled fish once the weather warms up. The rate we’re going though it will be awhile! 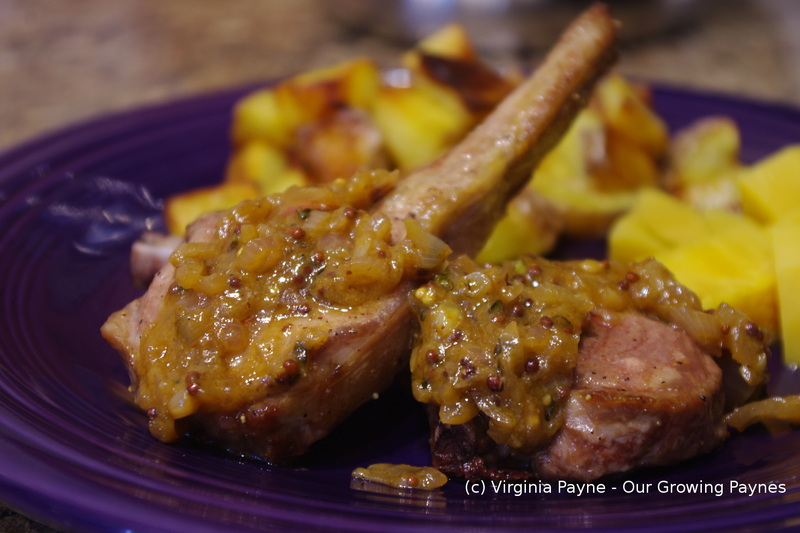 This entry was posted in recipes and tagged cooking, dinner, food, lamb, lamb chops, mustard, mustard shallot sauce, salt and pepper, shallots, thyme. Bookmark the permalink. Honestly my mind is frazzled today! I just edited my photos for the post I’m about to do with blackberry so I have blackberries on my mind! Maybe I should just have wine! Excellent looking dish Virginia. Hopefully you will have more of the luck of us Irish in future. My Irish genes usually hold me in good stead but the luck was running on empty! Sounds like a great way to prepare lamb. I hope things are going better for you now.